Using simple ingredients and easy instructions, your home will be smelling like all kinds of deliciousness in no time! I’ve also included a few baker’s tips – both from my experience and my mom’s. This way you can can be sure your banana bread will come out perfectly! Since I was a kid, I have loved bananas. My great-grandmother would send me home with a bundle after each visit. So it was no surprise that I fell in love Banana Bread! I remember waking up in the morning and smelling it baking in the oven. Then my patience was tested having to wait for it to cool down enough to have a slice. Now that I’m in my 30’s, it was time to ask my mom to share her Unbelievably Most Banana Bread recipe with me and with my readers. All I can say is – DAMN!! It’s so good! A few ingredients to add would be cinnamon and nutmeg to get the banana bread a better flavoring. Wow took you till your 30 to get the recipe, I got mine recipe from my mom before I left the nest. Wow, are you always such a nasty person? Who cares at what age someone starts baking. Let’s see if at the age YOU are now, Kay, that you can become a nicer human being. Grow up please!! It’s her recipe and she was nice enough too share!! Seriously!! Best banana bread I’ve ever made. I made it in a bundt pan and it was perfect! Everyone who ate it said it was the best they have ever had too. Thank you! This recipe is extremely good. However I didn’t notice in the recipe whether it should be all-purpose flour or self-rising. Mine did not turn out completely done. I didn’t want to bake it any longer because I felt the crust would just get too dark. I used all-purpose and am thinking that is the problem. Please respond. Thank you for your recipe! Hi Sandy – I’ve always used all-purpose flour, but self rising should work too. The crust will be dark, VERY dark and that is exactly how it is supposed to be. Don’t worry, the inside won’t dry out. I don’t think Kay was trying to be snide. I think she meant why so long to get the recipe from your Mom? She made sure she had her mom’s recipes as soon as she left home. Exactly what I took away from the comment. This is the best banana bread recipe I’ve found! I never would have thought to let it sit for one hour before baking; it must be the secret to the moist texture. My mom was a wonderful mom but didn’t like to bake. With family of 7 and a full time job she didn’t have the time. After getting married I taught myself to bake and love it! I am creating my own recipe book of our family favs for my grandaughter! That’s how I interpreted it also. I thought the people’s response to Kate’s comment was over the top, and much more negative than anything she said.Please grammar police, I don’t want to hear it today. I don’t think they were trying to be mean. Please keep in mind that time of voice is very important and we don’t get that over text. The best thing to do on the internet if you think someone is being mean, is to just ignore. Thank you Roxh, goodness people can really interpret text however their current mood would allow. The only people I found rude and mean-spirited were the ones commenting. You can definitely leave out the nuts, they are optional! Can’t wait for you to try it too! Hi Denise – I fill the loaf pan about 3/4 of the way. I want to make mini loaves for neighbors do I decrease cooking time because the pans are smaller? Just made this today. Only change I made with to use half brown and half white sugar. Already ate two pieces as did hubby. Made one large and one small loaves. Yummy! Already put in my cookbook but have recipoe memorized love the suggestion about. Bananas, how to ripen and freeze. Very tasty.. I make this bread and sell it at work, it’s amazing!!!!!!!! I leave out the nuts and add semi sweet chocolate chips. My coworkers go crazy when I take it to work. Nothing every left to bring home. I do leave a loaf for home. This recipe is in my favorite pin. My “go to” banana bread recipe. Thank you. I followed the recipe to at and my banana bread came out perfect! Thank you for sharing. I wish I could post a picture because it came out great. I used a bundt pan (couldn’t find my loaf pans) and it was enough better that it was the size of a pound cake … but who’s complaining? I thought this bread is perfect and has a lot of flavor in the banana bread!!! Kay, keep your NASTY and NEGATIVE comments to yourself! Didn’t YOUR MOTHER ever teach you that ” If you don’t have anything NICE and POSITIVE to say, then “SHUT THE HE’LL UP AND KEEP YOUR NASTY REMARKS TO YOURSELF, BECAUSE NO ONE CARES WHAT YOU THINK”! Nasty much kay.. wow. Who cares.. i am not even living at home and i still dont have my moms recipe.. Respect goes a long way. You should try it. This is the most moist banana bread I have ever made, absolutely delicious, I did add 1/2 tsp of cinnamon, and 2 tsp of vanilla. This will be my only way to make banana bread from now on. The comment about the bread being flat, must be either because you didn’t put enough in the pan so or you forgot an ingredient. I’m so happy to hear how much you loved the banana bread! Thank you for leaving your feedback! I am now going to make this banana bread. I have it sitting at room temp at the moment. I do find the batter very sweet, but l love sweet things. I just hope my Ladies Bunco group like sweet as much as l do. I will do a poll and the verdict may be to put less sugar in the batter. I can’t wait to taste this banana bread. Made this tonight,I have made a lot of banana bread but this one was the best it’s night now so I can’t share but tomorrow I’ll be taking some to my daughter,brother sister and friend loved it and will be making it again!!!! Thanks for sharing. Agreed, I just ate a big spoonful of the batter – tastes like cake! And I added cinnamon and vanilla. Can I use sweet N low to substitute real sugar, if so….how much should I use? This is the best banana bread I ever baked! I added 1 tsp cinnamon and 1/2 tsp nutmeg plus a pinch of salt. I also used chocolate chips instead of nuts and added 1/2 cup whole wheat flour because the batter seemed a little extra liquidy (yes that’s a word! 😉 I baked it in a bundt pan for 65 minutes. A DEFINITE make again, my family went bonkers for it! Thanks for sharing! Retract the claws, and what have you done with your life apart from criticise ? You should have written “took you until YOUR 30th birthday” or “took you until YOU WERE 30.” There is no contraction for “you were” & “you’re” is the contraction for “you are.” YOUR is a determiner of possession & designates your house, your book, your birthday. Your comment came off a bit snarky / snide. You were wise to make certain you had your mother’s recipes as soon as you moved out but many of us were busy with other things & didn’t get around to copying down certain family recipes until years later. This sounds like a great recipe, esp the tip about letting the batter sit for an hour. I’m having 4 six to nine year old great nieces & their mothers & my daughter over for a formal high tea party in June. I’ll be adding dried cranberry & orange pieces as well as chopped walnuts. I’m going to experiment with using half the butter & adding a little individual container of apple sauce & slightly less sugar because of the sweetness of the applesauce. I buy those 8 packs of applesauce & replace part of the shortening in cakes & brownies. My grandmother always added applesauce or chopped/minced apples to her New England turkey stuffing, a wet/moist spreadable stuffing that would have been slightly bitter with all the poultry seasoning she used but applesauce balanced it out. Thought it might work in cakes & it does. I’ll be baking this banana bread in little mini-loaf pans for the tea party. I’ll just test with toothpicks because the pans are just under 5″ x 3″. Nutmeg, yuk! No one in my family likes it, thank goodness. Somne bakery donuts have so much I wind up spitting and tossing. 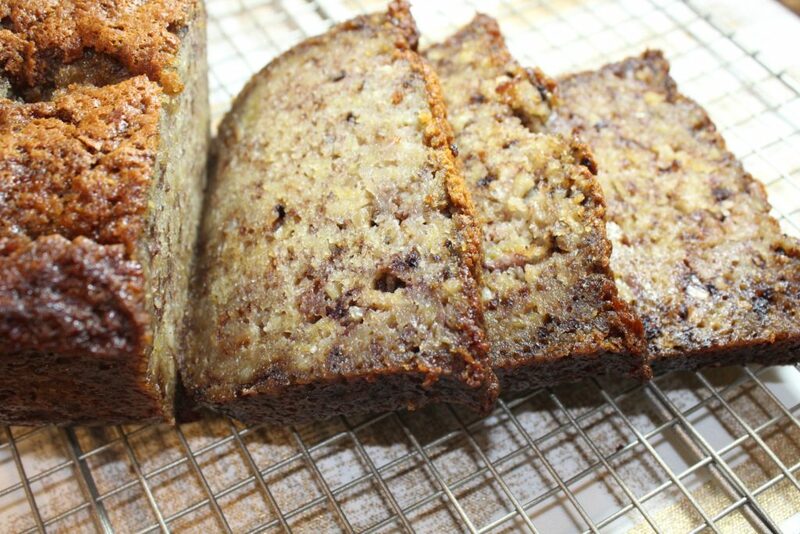 This I s the best tasting and most flavorful banana bread recipe I’ve made in 40 years…perfect. This has been my go-to recipe since I found it! I used half brown sugar and half granulated sugar once , when I was low on granulated, and it turned out heavenly! Kay, a little trick I learned from a cooking show on public television was to microwave the bananas before adding to the recipe (let them cool first, obviously). It’s supposed to concentrate the sugars and bring out the banana flavor. They will look liquidy, but don’t pour the liquid out – there’s a lot of flavor in there. Ya know the saying, if you don’t have anything nice to say, don’t say it. Now I’ve said it!!! That’s a lot of sugar, in my humble opinion . Can you cut it back? Using less sugar (even just 1 cup) shouldn’t hurt the overall flavor! Use the biggest loaf pan you have. I used a 1.5 qt, but I had extra batter leftover. I highly recommend using 2 loaf pans if you have them. Do you leave the batter at room temp or put it in the fridge? I’m excited to bake this banana bread! I’ll be making muffins, any tips for temperature/time adjustment? Thanks for this recipe it’s fantastic! I must have a smaller loaf pan, I have about 1/3rd of the recipe left. Any suggestions? I have small loaf pans like personal ones but no idea how long to bake with those…. or should I just fill about half the bread loaf size pan and cook for less time? I have not made this banana bread, but I have eaten it a a friends house and it Is absolutely fantastic. Will be making ASAP!!! Does the cook time,need to be adjusted if your only doing one loaf at a time? Also if its a glass dish vs a non stickpan? No, the cook time should be fine if your only using one loaf and the kind of pan doesn’t matter as I use both, but I prefer glass. Seems like a fantastic recipe. There are 5 eggs in this recipe. Somehow the recipe widget I’m using, removed that ingredient?! All is fixed now. Thanks….gonna make it today. Will let you know how it turns out. I am SO upset that the recipe widget didn’t show the eggs or my modified baking times! I thank you so much for your feedback and I’m so sorry it didn’t turn out well. 🙁 It’s my apologies. The recipe is updated today and I would love to hear how it turns out next time! The pics you see on the post are made from the recipe that is now viewable. I just mixed the ingredients and I am letting it set for an hour. There seems to be enough batter for 2 loaves. Are you sure this recipe is for one loaf? You may have used bigger bananas? I had about 1/3 cup of leftover batter. I agree with Angie. Nutmeg and bananas go together very well. I am about to make it and I hope it turns out, because I love banana bread!! I think using 1/2 tsp of cinnamon and 1/4 tsp of nutmeg adds plenty of flavor without hindering the banana flavor. I have 3 small loaves and a dozen muffins in right now, I’ll let you know baking times. And I really think these ppl are overreacting to the 30 yr. Old comment. I think it’s pretty interesting that your mom wouldn’t come off of that recipe until you were 30 either. My ex hasn’t passed hers down to my daughter yet and she’s 28. I definitely should have gone with my gut and split the batter into 2 pans!! Tried this yesterday. You are correct……this will be my GO TO BANANA NUT BREAD RECIPE!!!! It is truly the most moist banana bread I have ever eaten. Thank you for sharing. I baked it in a bundt pan and baked for 50 minutes @ 325•. Should have done it the full 60 minutes. I will next time. This recipe looked so promising. I should have trusted my instincts though, and put the batter in 2 separate loaf pans,, when I made it and the batter filled a loaf pan all the way to the top. I kept it in one pan, since that’s what the recipe said, and ended up with batter overflowing all over my oven, with smoke billowing out, after only 20 minutes. I used 3 small-medium bananas (1.5 c), and followed the recipe to a T. It is indeed moist, but a little too sweet with the 2 c sugar. If I were to make it again, I’d cut back on the sugar, and definitely split it into 2 separate loaf pans. Britt, I am so sorry to hear that it came out raw 🙁 The outside will be very browned, but it’s because of the butter. I also used very small bananas, so the batter can be as big as 2 loaves or just the one loaf depending on the size/quantity of your bananas. Are the bananas supposed to be mashed or cut into small slices? I find that if the banana are extra ripe and nice and soft, I add the entire banana into my batter and simply mix it in. If your banana is not totally ripe, you need to break it up a little bit with your hands or sliced into 1/2” pieces. Some folks may prefer to smash to a puréed consistency, but at our home, we love to find nice swirls and small chunks baked right in the slices. It was clearly written to split it in two pans. When I printed this recipe the eggs didn’t show up either. I have to admit the bread still tastes good, but now I am very interested to see how the recipe is with eggs. Fabulous recipe which I made as a healthy alternative to chocolatey after school pick me up – went down very very well. Imagine my surprise when I found the half pound of butter sitting innocently on the side softening…….. clearly I made it really healthy! So this recipe works brilliantly without butter! Thanks again! What type of flour? Self rising or all purpose? Also thank you for posting this. I used all purpose. I’ve never tried self rising, for fear my loaf would overflow. Hi! I just made the bread. I have 2 loaves, however, the batter is still a liquid after 1 hour and 15 minutes of baking? It seems more like a banana omelet… I followed the recipe to a tee..
Julie, OH NO! I am baffled as to how that is possible?! Are you sure you added all the dry ingredients and the oven was at the correct temp? That is honestly the only thing I can think of! Yea, I’m at almost 1 1/2 hrs (2 loaves) & last I checked they were still raw in the middle. I followed the recipe to a t except I added chocolate chips instead of nuts due to allergies. I’m really hoping they turn out because they do smell delicious. Same with mine. I followed the recipe exactly, used 2 loaf pans, and I’m up to an hour and 20 minutes and it’s still raw in the middle. I can’t say I’ve ever had a recipe fail, but looks like this might be my first. Is there a substitute for the buttermilk? Oh, you can certainly use regular milk or almond milk as a substitute. You can simulate buttermilk by using about five parts regular milk to one part vinegar. I like apple cider vinegar when cooking. The buttermilk or the vinegar interacts with the baking soda to help it rise. I used 2 pans so as not to over flow. I too thinks 2 cups of sugar is super sweet so next time I will cut back and maybe add salt to balance the sweet. I just made 2 loafs of this recipe. The 2-cups sugar is just right, I added nutmeg to the mix. I used big bananas so I had to use 2 pans. It sat for an hour before baking but I’m still not sure why this made a difference. It was moist inside. Bread was done in 50min. My exact same experience. I’m glad I checked my load at 50 minutes, they were ready to come out! Absolutely moist and perfect!! I don’t have a bread pan. Can I use my over tray that’s normally for chicken? Or a muffin tray? Of course muffin tins would be fine to use, be sure to check with toothpick after about 25 minutes. Personally, I wouldn’t think to bake this on a tray or sheet pan, but imagine it would come out fine, if baked at an appropriate time. Omg !! This is the best receipe ever !! Love it ! Letting it sit … makes it even better ! Thx you for sharing !! I will make this again an again ! Do you let it sit in the fridge due to the eggs? You want to leave it sit in room temperature, because the batter won’t brown as quickly in the fridge. A fellow blogger also mentioned the cooking time increased when they did leave it in the fridge. Just made this in 2 loaf pans, following the recipe. Checked them at 55 minutes and found loaves that were amazingly flat & really dark throughout. They quickly ended up in the trash. Betsy – I’m sorry this recipe didn’t turn out to be what you hoped for. The darkness of the crust is normal and what it should look like, but the flatness I can’t explain, unless perhaps it was still raw? Everyone’s oven is different, so its possible it needed to cook longer. For instance, my mom’s oven takes 1.25 hrs to cook it, where my oven only takes 55 minutes. Can I make this in mini loaf pans? If so, how full should the pans be? Thank you! By making it in mini loafs, you’ll want to continuously check the doneness. It will most likely cook faster. Be sure to leave at least 1/4 inch of space in each loaf insert, so it doesn’t overflow into the bottom of your oven. Can I make it with wheat flour? Yes, the type of flour doesn’t have to be specific to just the all-purpose white flour. This was delicious. It did make 2 loaf pans and I added chocolate chips. My beau said no one has ever been able to make banana bread as good as his momma but this one is better. Yay! I haven’t tried leaving the batter sit overnight, so I would absolutely love to hear your feedback if you do that! I made this last night and my kids loved it! I had just enough for muffins and a loaf. I baked the muffins for 25 minutes and they were perfect. Thank you for the recipe. This is the BEST banana bread I’ve ever made! And believe me, I’ve tried a few recipes. Amazing! Thank you SO much for sharing. This seems simplistic but I didn’t see it mentioned anywhere else. I only have one loaf pan so I halved the recipe. It fit perfectly in one pan, I used 3 eggs and just halved everything else. It was delicious, this will be my go to banana bread recipe! How long would you leave in the oven for muffins? 25 minutes for regular sized muffin tin pan. Can you use only egg whites instead of whole egg? If so do I need to adjust the recipe otherwise? You could, but it may affect the moisture level and it will come out more dense if you don’t whip the white well enough. Be sure to add two more eggs to get the same measurements. Do you use salted or unsalted butter for this recipe? Baked your recipe this morning and got 2 loaves. I just ate my first piece of wonderfulness! It is unbelievably moist with the perfect crumb. Thanks for sharing this recipe. This was yummy!!! I only used half the sugar due to previous comments stating it was too sweet, however I’d recommend using the amount of sugar listed (2cups) or maybe 1 1/2 cups because one didn’t seem like enough. I really liked it but it could have been sweeter……wish I had followed the recipe exactly. Made this banana bread this morning. Followed recipe as written, except since I was using my bundt pan I did as another reviewer stated and incresed baking temp to 325 and left it in for an hour. When i pulled it out, a surprising amount of grease was floating on top….I poured off a quarter cup of butter. I’ll make it again, but with less sugar, less butter, and a little cinnamon and nutmeg. While moist, it’s flavor was not all I wanted it to be. I just checked my bundt cake after 50 minutes at 300. There was a lot of liquid boiling on top. Hmmm. Is that supposed to soak in? I assume it’s the butter. The only change I made to the recipe was to add 1 tsp of cinnamon. I also did not measure the bananas. I had 4 medium bananas and just used them all. I am leaving the cake in the oven for at least 10 more minutes. This recipe is amazing! I’ve made it numerous times now and it’s been delicious every time. I will mention it looks completely burnt before it’s done, so it makes you want to take it out early, but DON’T!! It just has a dark crust. It does not taste burnt and the inside is still perfect and super moist. My favorite recipe for banana bread by far! Do you need to use a mixer or just hand stir? What is the size of egg that is used? Just made this banana bread and it turned out so moist and delicious. We used 2 loaf pans, like you suggested, and tried chopped walnuts for one loaf and plain for the other. The walnut was my favorite, it added such great texture. My sister begged for the recipe. Thanks for sharing! I cut back on the sugar. 2 cups is too much. Used real butter and cake flour. Used large bananas enough batter for 2 loaves. Regular milk was fine. Very nice outcome. Thanks! Just a few tips to making banana bread. If it is still gooey in the middle, just put some tinfoil on top, it will continue to cook and the crust won’t get too dark. Also as with any cake/loaf recipe, only ever fill the pan 3/4 of the way to allow for rising. Does anyone know what leaving it to sit for an hour actually does? I’ve not heard of this before. According to my mom, resting the batter for an hour allows the dry ingredients to completely soak up the water from the wet ingredients and become thicker. This recipe calls for more eggs than other banana breads because more liquid is needed during the resting period so it doesn’t become TOO dense. Love, love this recipe. However, I think next time I make it I’ll add 1/2 salt. I think that would brighten it up. My husband can’t get enough of it. Thank you for sharing this recipe. Update: If you loved this Unbelievably Moist Banana Bread, check out my newest recipe – Moist Hawaiian Pineapple Banana Nut Bread. 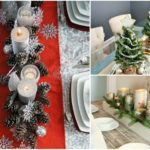 New on the blog today! 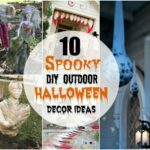 I’d love to hear your feedback! Wow, people are brutal! Mine is resting now and I am excited to try it!! Good basic recipe, I added cinnamon and nutmeg, as well as 2 tsp vanilla and 1 tsp salt. I think both give more depth to the flavor. It’s a delightfully moist bread, even better with a smear of butter, and good coffee on the side! Is it 6 tbsp or cups of milk?? Definetely tablespoons of milk – you can use any type of milk, but 6 tablespoons is the magic number. Came out delicious! At 31 years of age, I too had yet to find the perfect recipe! Lol! I tweaked it a tad though. Only used 1 cup of sugar, added a couple of teaspoons of vanilla extract, a pinch of salt and drizzled cinnamon (can’t be sure how much because I didn’t measure it) into the batter before mixing it all together. Came out fine. Not too sweet and not bland at all. My fiancé and my mother both had tried several times to make banana bread because they both know how much I love it and would fail terribly. Bless the their hearts. Thank you so much, Heather! You’re truly an angel and I will keep on using your mother’s recipe! Oh, I used a bunt cake pan and baked it at 300° for 55 minutes. Some fluid did rise to the top so I just broiled it on high for a few minutes and it was gone. I think it was because I covered it halfway in to prevent it from getting too much of a crisp. All in all, two thumbs way up! Sorry for the story. Haha! Of course it depends on the oven and I didn’t want the banana bread to bake too until it dried out. Nonetheless, when it was finished, it tasted ABSOLUTELY amazing!!!!! THANK YOU!!! Is it suppose to look curdled? Hi Brandy – did you make sure to use “soft” butter or margarine? Yes when you mix soft (but not yet liquid) butter with eggs and bananas it will often ‘look’ a bit curdled. It is not. I used 2 tbsp of baking soda rather than 2 tsp. I’ll bake in an hour and follow up with a reply of how it turned out. I did taste the batter and it was fine, but we’ll see. I prefer using a mixer, in my experience, hand stirring the batter doesn’t do as good of a job at breaking down the bananas. Oh. I wish I would have seen this. I wondered about using the mixer. I mixed it by hand. The bananas were mixed pretty well but there were bits of butter in the batter. The batter looked fine and I put it in a bundt pan. When I checked at 50 minutes, there was a lot of liquid boiling on top. I left it in for an additional 10 minutes. There was still liquid on top when I took it out. It’s sitting on my stove cooling. The liquid has absorbed into the cake. Can’t wait to cut into it. Looks and smells yummy!! I’ve tried this recipe twice now and I can’t seem to get it to come out moist. Any suggestions? Sister’s boyfriend dropped off a surprise CASE of bananas, decided to use some of them up by making this banana bread! Added chocolate chips (the whole bag, because YOLO), used vanilla almond milk, then baked in a muffin tin pan for just under a half hour. I also made 2 mini loaves, which I baked for 55 minutes. Was a little confused about the mixing of the batter though- what do I want it to look like? Lumpy? Smooth? I left the bananas chunky and some butter lumps, batter was a tad runny. It did come out VERY dark, but that is probably due to the high sugar content- not just from the white sugar but the bananas as well. There was also clarified butter in the corners of the mini loaves. When I attempted to separate loaf from pan, they split in half. also, i recommend using a mixer and blending wet ingredients then slowly adding dry. my first go-round with this was pretty disastrous- scrambled eggs in one bite, cold banana in another. Will try again. Hi Mary – did you make sure to use softened butter? There shouldn’t be any butter lumps. Little banana lumps are okay as long as they aren’t big chunks. Also, did you let the batter rest for an hour before baking? It is an important step. The outside of the loaf will be very dark, sometimes almost looks black, but it is supposed to be. It isn’t burnt. Also, allow it to cool down in the loaf pan after baking or will fall apart if you try to force it while still hot. I also recommend using a mixer and not hand stirring. 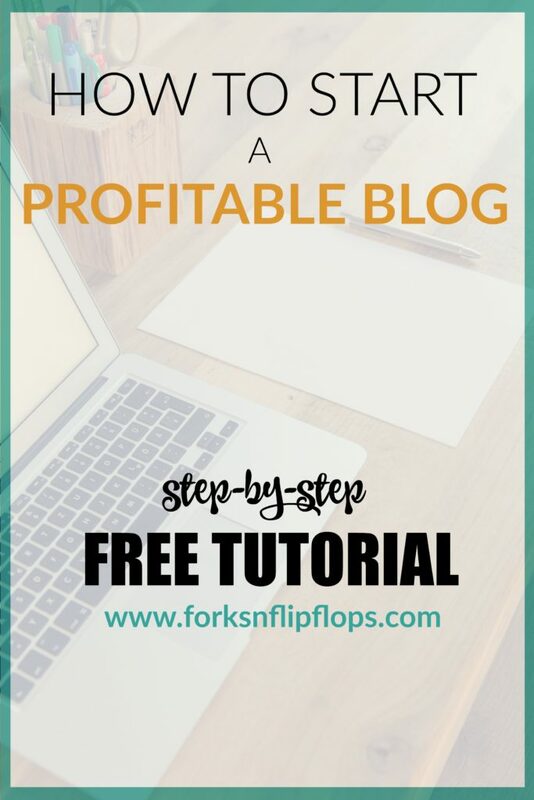 Please try again and let me know how it turns out – I include some baking tips in my post as well! Happy Baking!! Does the batter look a lil split …. If it does, it may need to be stirred a bit more while it sits so the wet and dry ingredients can fully blend together. I just put another 2 loaf pans in oven! I’ve made this several times and turns out wonderful every time! AND, you made a believer out of me to let mixture sit for one hour. I will serve one loaf tonight and freeze the other. Oh, and don’t worry about comment that you just discovered this recipe at age 30. My mother, a wonderful woman in so many ways, didn’t like to bake, so I taught myself. I’m in my 60’s and still learning! May I say, best ever! Ive made this several times using 5 regular size bananas. Im attempting to use only 3 bananas and adding 1 cup of pumpkin puree. I will let you know the outcome! Thank you Crystal! I would love to hear how it turns out with the pumpkin puree. Very cool idea! To solve the potential “too much batter” issue, I’m planning to just fill my loaf the regular amount and use the rest of the batter for muffins (easier for on-the-go breakfast! ), and adjust the bake time a bit. If you like cheesecake, you can also use the extra batter to make Mini Banana Bread Bottomed Cheesecakes. I just added the recipe on the blog this week if you search “cheesecake”. I actually made a full loaf, 12 muffins and 24 mini cheesecakes with one batter last weekend. Muffins at 350 are around 30 minutes, or until the center comes out clean on a toothpick/fork and the banana bread bottoms are 17 minutes. The first time I forgot the baking soda and it didn’t rise as much as normal but was extra dense and moist like pound cake. That time I made one bundt cake and 6 extra large muffins from one iteration of the recipe. The second time (tonight) I realized I don’t actually have any baking soda so i used baking powder in the same amount. Probably changed my result a bit, but it did not ruin it at all. This time one full recipe was just perfect to make 24 regular size muffins – a bit on the full side. This is a terrific recipe. I wanted to add that both times I’ve made it I’ve added a splash of vanilla extract as well as about a fourth of teaspoon of kosher salt. I also omitted the nuts and used one bag of mini chocolate chips which were delicious. I did not let it sit an hour either time due to being pressed for time, and it was a bit more liquidy that I expected going into the tins so thats why, I will try that next time. I did want to ask, and its likely because I have altered the recipe and not used the proper rising agent, but it has been difficult to get out of the pan and also stuck to my muffin papers. Any ideas? Thanks so much for sharing this great recipe. I made this with an alterarion, I used 3/4cup of olive oil and one pat of butter. I used maybe 1/2cup more flour and 2 extra bananas (because they would have been thrown out). I used 8 foil mini bread tins and baked on convection 325° took just about 45-50minutes. Using the small pans I was able to add flavors. I made 3 plain, 3 walnut one peanut butter chip and one chocolate chip. (Which my 16yr old ate in about 4 bites). Hands down the BEST banana bread I’ve ever made. Super moist ( yes I hate the word) but so good!!!! I think I may cut the sugar back half a cup next time and play with that to me It was a little sweet but to everyone else they loved it. Looking now and it seems that the Flour is now left out of recipe. How much flour? Hi – the flour is still in the recipe it is 2 cups! Thank you, I don’t know why I didn’t see it the first time. I made it for our dinner club it was a big hit. Super yummy thank you. I used gluten free all purpose flour with no other substitutions and it turned out really well. No one can even tell I switched out the flour. It was delicious! Great recipe! My bananas were a very tiny bit frozen in the middle so they made my butter to cold. Maybe I should let it sit longer?? I obviously have no patience lol. I am hoping this still turns out as good as everyone says it is. The best Banana Bread Ever! I use a bunt pan instead of 2 loaf pans. Next time could I use 1/2 cup of butter instead of one? I just made this banana bread and it came out AMAZING! I baked it in a bundt pan and it took about and hour and a half to bake. Soooo worth the wait. I have made this before and loved it! I’m making it again, but am wondering if it would be ok to let the batter sit longer than 1 hour? should I put it in the fridge if I do? Thanks for sharing your delicious recipe! I think it should be okay. The batter sits for an hour to make sure the wet and dry ingredients have time to come together. I don’t see a problem with putting it in the fridge as long as you give it a good stir before pouring into the loaf pans. I only wanted to use mini loaf pans, will it work using these? It should work, but the baking time will be much shorter. I would check the doneness after 20 minutes and go from there. I haven’t used mini loaf pans before, but from my experience with my mini banana bread cheesecakes, it will bake quicker. Can you bake this in s convection oven? I don’t see why not, however, keep a close eye on the baking time. It will likely be shorter than the 50-60 minute bake time in a regular oven. The top layer should still be dark but you will want to make sure the middle is also cooked through. This recipe was perfect! I cut it in half and made 1 loaf, and I absolutely loved it! Super moist, absolutely delicious! I used 2 eggs and added 1tsp of cinnamon. So good! Oh NO! I’m so sorry it overflowed!! That actually happened to me too and it makes a huge mess and smells up the house! I typically leave about 2 inches from the top for the banana bread to rise now. Hi – made this last night for my dad as his birthday cake! I used the the bundt pan and had to cook about an hour and half before it was done. Every oven is so different lol. My dad loves banana nut bread but we do not have a family recipe so thank you for sharing! It turned out amazing. He loved it and I can’t believe I actually baked something so good!!!! Thanks again! Can I just say, I’m in my 30s and I have just now started to bake banana breads. I have used other recipes and have found that this is the best one!! So delicious, my family loves it and I make it every chance I get…which is like once a month 😏. Thanks for sharing! Great recipe for a moist banana bread. Thank you for sharing! I love the recipe. Used muffin tins. So delicious! Thanks for sharing and Happy New Year. IM 32 AND AN EXPERMENTER MYSELF I FOLLOWED MOST OF YOUR RECIPE. iTS IN THE OVEN NOW!!!!! I DOUBLED THE BATCH THOUGH. i ADDED 1 TSP CINNOMON AND 1/2 TEASPOON NUTMEG PER BATCH, SO I DOUBLED! IT SMELLS SO GOOD RIGHT NOW. I THOUGHT 10 EGGS WAS A GOOD SUGGESTION BUT I THOUGHT I WOULD TRY 4 EGGS AND 1/8 CUP VEG OIL INSTEAD OF 5 EGGS SO OFCOURSE I’M DOUBLING! I WAS OUT OF BAKING SODA ( HOLIDAYS ARE EXPENSIVE ) SO I SUBSTATUTED THE BAKING SODA FOR 2 1/2 TEASP OF BAKING POWDER! I’M SORRY THERES SO MANY HATERS OUT THERE WHICH ISN’T ME PROPS FOR THE RECIPE. A GIRLS GOTTA DO WHAT A GIRLS GOTTA DO! Made this banana bread yesterday and it’s perfect! I had enough batter left over to make a tray of mini muffins and let them cook for approx. 20 mins, they are also delicious! The bread does turn dark.. to the point you think it is burnt, but it’s not! SO GOOD!! I have 2 things to state. 1. this recipe is THE BOMB!!!! I made it to exactly like you said. I used 4 medium-large bananas. And I went ahead and just split the batter into 2 loaves. What a great recipe. This is now my go-to banana recipe. Thank you! 2. I (and everyone else around me. haha) love chocolate chips in their banana bread. So, like always, I added it to the batter (at the end, right before putting it the pans. mixed them in there). And I guess they sunk to the bottom when I put the pans in the stove. But, it ended up being soooo delicious! They crusted at the bottom and it made my bread have a chocolate chip crust. OMG…..sooooo good!!! Hi Beth – I love the idea of the chocolate chips in the banana bread!!! I’m so happy you loved the recipe…and I’m definitely putting those chocolate chips in the banana bread next time – you made me very curious how that combo tastes now 😉 Thank you for the idea! I am going to try peanut butter chips too! I can’t find my loaf pans or my bundt pan, as they are still packed away in moving boxes. I do have muffin pans close-by though. What temp & for how long would you bake the banana “muffins?” I can’t wait to try it! I’m not sure if I did something wrong, but the butter was boiling out of the banana bread. Is that normal??? It seemed super greasy. Help me on why that would do that? Hi Jannette – I’m not sure why any liquid should be boiling “out” of the bread? How far into the baking was the bread when that happened or did you substitute any ingredients? Fabulous! I have been searching for a good recipe. This is definitely the one! The only thing I changed was I used 2 1/4 cups bananas because that’s what I had on hand. I also used I 9 x5 loaf and 4 Mini loaf pans. This will be my go to banana bread recipe!! !Thanks for sharing this wonderful recipe. I will definitely check out your other recipes. Best Banana bread recipe ever. Sooooo moist. I baked it in my bundt pan. I forgot to let the batter set out for a hour. It still turned out. Everybody love it. My husband took some to work. They all loved it. Thank you for sharing. Best banana bread I’ve ever made and eaten! I only had one stick of butter so I used 4 oz of coconut oil for the rest. I did half white sugar half brown sugar. I also added half a tsp salt, 1 tsp vanilla, 1 tsp cinnamon and 1/4 tsp nutmeg and cooked in a Bundt pan for 60 mins and it was PERFECT!! So making this again. I am making this my grandbabies love banana bread I love the moist heavy bread I made some once and goofed up and it came out heavy and moist it was the best banana bread we had ever had also went and made a second loaf not goofing up my husband loved the loaf I messed up on so did all my children and grandbabies! One problem I don’t know how I goofed so I could not make it again lol! Hoping this is the same! It looks just like it wet heavy and delish! Also put cinnamon and nutmeg in and also a fair amount of honey! Thank you so much for sharing! The recipe is very good! I made mini loaves for my triplets and the bread stuck to the bottom of the pan. What did I do wrong? I sprayed the pans with Pam before pouring the batter. I also used self rising flour and omitted the baking powder. Did that make the difference? Wonderful recipe! So yummy and moist. Best banana bread recipe i made. I just made this banana bread in a bundt pan and it was delicious. This will definitely be my go to for banana bread from now on. Thank you so much for sharing this recipe..
Hey does it matter what kind of loaf pan? Should I leave it in longer if I’m using a glass baking dish? I made this yesterday and it’s awesome ! Thank you Heather ! For how long should it be baked? I am working from home today so I set foot to Pinterest to find a recipe to use up the plethora of bananas my bountiful basket provided Saturday. I must say…. my tiny apartment smells AUH-MAZING! I hope it tastes good and I will be back to review after it’s cooled. I used the method to help bananas ripe faster by using the oven. I found out after I had cracked all my eggs etc that I didn’t have baking soda. So I took to Google and used double the recipe amount of baking powder. So I hope that works. I also sprinkled some cinnamon in based on the reviews. I had already read the reviews and went straight for my bundt pan. Once it rose it filled up almost the whole pan so I’m glad I went that route. I did 300 for 55 mins like a previous review but my toothpick came out moist so I did an additional 10 minutes and I pulled it out and covered with foil for a couple mins. I didn’t have the butter on top issue like a few have said. I’m just ready to dig in!! Not to mention I appreciate you for adding the tip about ripening the bananas. Heck all your tips were appreciated. Thank you! Hi there, so I made this and think I messed up big time on the butter. I did 2 1/2 sticks of butter melted. Is that wrong? I can’t find my loaf pans. How long should I cook them as banana nut muffins?? Came out amazingly moist! I had a piece while still pretty warm and was surprised it wasn’t as sweet as I thought it would be. Maybe it will be sweeter after it cools? Either way I probably wouldn’t add anymore sugar. Still this recipe is definitely a keeper! BANANARAMA!!!!! I finally found THE banana bread recipe!!! Thank you Heather for sharing, my son and I just love how moist it is and let’s not leave out the top……….it’s crunchy goodness!!! Can you sub sugar for honey? I’ve never tried that and would have no idea how it would turn out. I imagine it would be difficult to mix honey with the other ingredients though. Mixed this recipe and having it rest the hour like suggested. So many people have added nutmeg and cinnamon, does they really need to be added to enhance the flavors? Hi Elizabeth, I’ve tried it both ways but left those ingredients off since I wanted to keep my mom’s original recipe. It’s delicious with or without the nutmeg/cinnamon, personally. Take all the positive comments and multiply by one million. That’s how good this recipe Is! I’ve made this over and over. Love it and make it for my most special people. Thank you! Wonderful banana nut bread. Everyone loves it and it so easy. Thank you for sharing the recipe. I used the bread to also make French toast for my son and he loved it! I’m in the process of letter the batter rest, and there a few things to add to your recipe that could be helpful… amature Baker here- so I’m not sure if these are known things. When you say to just mix things- do you cream the butter first? I literally mixed it all and now my batttt is lumpy with chunks of butter. Is this supposed to be this way? Or was a supposed to mix things one at a time. Please clarify as it would be helpful. Hi Shay – I hear this from some other readers as well…the batter should only be lumpy because of the bananas, not butter. You have to soften the butter – NEVER throw in cold butter. Microwaving the cold butter for a few seconds will eliminate the lumpiness. It does not matter what order you mix the ingredients..as they will be well combined by using an electric hand mixer or Kitchenaid table mixer to incorporate all the ingredients before the batter sits for an hour to fully incorporate all the wet and dry ingredients together. I have made my mom’s recipe well over 20+ times. Hope that helps! Okay…I saw this recipe and said to myself “This recipe sounds like it’s right up my alley…”mix everything together”!! !” Lol. So I’ve mixed all the ingredients together, added a capful of Vanilla Extract and three good shakes of Cinnamon, and am now watching it sit for an hour. (Well, I’m eating supper while watching. Lol.) The batter tastes wonderful so I’m expecting the flavor of the finished cake to be great! 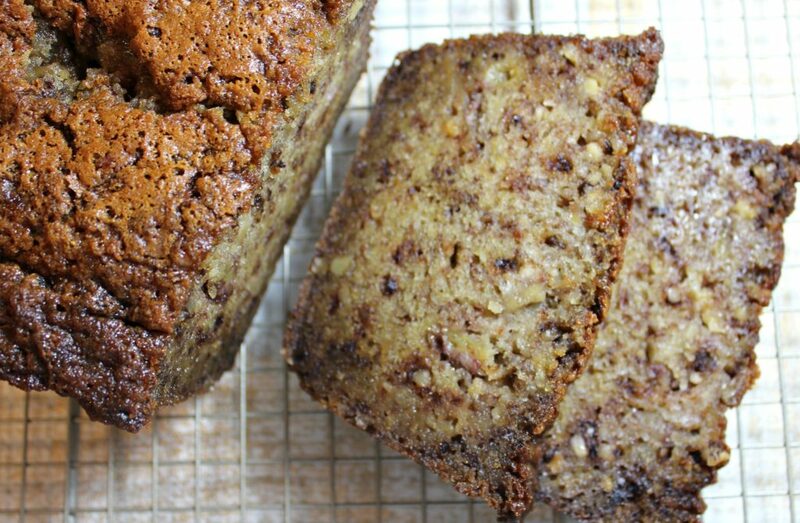 If it’s as moist as it’s said to be, this WILL be my ‘Go To’ Banana Bread recipe! Okay, here’s my update: FANTASTIC! 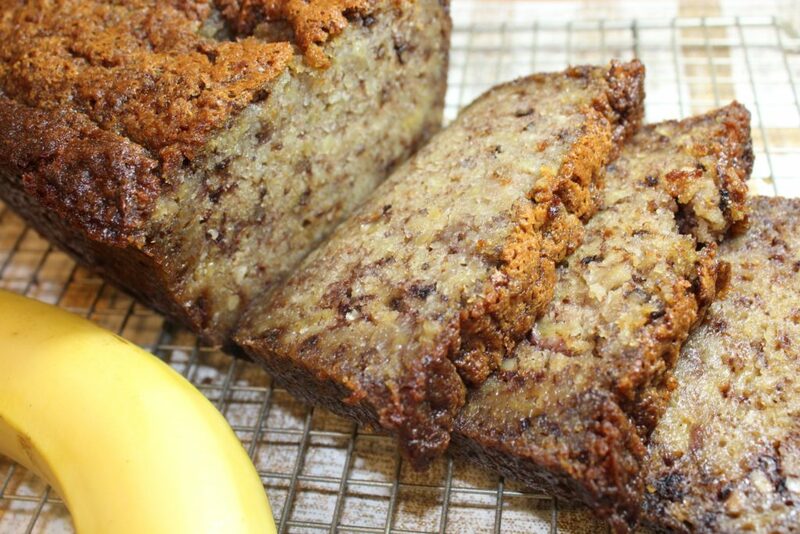 Moist, flavorful, and now my “GO TO” Banana Bread recipe! Even my fussy hubby CAN’T STOP EATING IT! Lol! Thank you so much for sharing your mom’s recipe with the rest of us! This banana bread makes me so happy! ! I didn’t have buttermilk, so I used vanilla yogurt diluted with milk and I think that kept the moisture in for days. The cake lasted four days in our home and it was moist and yummy every day. I added 1/2 cup of chocolate chips too – Wow! Thanks for sharing this terrific recipe. Oh how awesome. I will try using the yogurt as well. I need to leave the house or I am going to eat all of the banana bread myself!!! Thank you for this recipe. It will be the only one I use from now till forever! My son and husband ask me to make this often. Thank you for sharing! I like to make it just the way you intended and then if I want to add things the next time I bake I can. It isn’t great either way. My son like cinnamon so I add that and some time I do a crumb topping. It makes wonderful French toast as well. This one is a keeper for sure! I know I used this WONDERFUL recipe 2 years ago. I want to make it again tomorrow. Do you use plain flour? Or self rising. I made this for a ladies Mah Jongg group and did it in a large bundt! Followed your directions exactly, cooked at 300 degrees. It took about 1 hour 45 mins to cook, but turned out BEAUTIFUL!! I threw some glaze (just powdered sugar and few drops of milk) on top because I wanted it more like a cake. There was not one crumb left!!! The ladies went on and on about it being the best they have ever had! You helped me be a huge hit Heather! Thanks so much, this is now my ‘go to” banana bread!! Unbelievably moist says it all! This is now my go-to recipe when bananas get ripe. Love the fact that two loaves or bundt pan can be used. Glad I found it and YOU! Can you leave the batter for over an hour? I need to put something else in the oven at that time. You can let it sit for a little longer, but I would recommend putting it in the fridge after an hour just in case. I am far from a baker but this recipe was simple enough that I couldn’t mess it up. It was amazing and I will definitely be making it again! Super moist! I left out the nuts and added a dash of cinnamon. Hi Heather! I am thinking of framing your recipe and hanging it right next to my mixer because I have never had such an amazing banana cake/bread recipe and I make it all of the time. Hopefully, I will memorize the recipe so I can take it out of the frame and put another one of your fabulous shares in it!! I have one question – while preparing it today I was distracted and put the batter in the bundt pan to rest for an hour instead of keeping it in the mixing bowl. Do you think that will change the results? Again, thanks so much for the recipe! Hey there, so is it 1 1/2 cups mashed banana, or is it 1 1/2 cups sliced banana? Hi Jessica, mashed bananas. I usually eyeball it based on the size of the bananas. It’s usually 5 small bananas or 3 1/2-4 larger bananas. I’ve made it so many times that I tend to use those measurements instead to achieve optimal banana flavor! 🙂 Hope you love the recipe! Um heather, I am not a baker but wanted to tell you I’m standing here waiting out the hour you suggested and wondering…am I the only one eating the mixture before it’s baked?????? Great recipe easy, taste moist, my family loved it! After making it a few times I added some unsweetened organic coconut and two shredded carrots and it was a hit! Delicious! I made this today with the help of my 3-year-old son. We followed the directions exactly, with the exception of using whole milk instead of buttermilk, and it was well worth it. I split the batter evenly between to loaf pans–it’s only been out of the oven for 30 minutes and an entire loaf is already gone! Hi Heather, do you know if the batter is ok to leave for more than an hour? I’m just wanting to make this for breakfast (but not wanting to get up that much earlier to mix the batter! ), thinking of leaving the batter in the fridge overnight. Do you know if this would work? I’ve made this banana bread 6 times already and it’s turned out perfect every time. I accidentally put a Tbs of Baking soda. Should it be ok? The batter is sitting right now. Got all the ingredients together and just waiting the hour now. Kind of surprised that it didn’t call for cinnamon or extracts. I added a few personal favorites to punch up the flavor. I’m excited to see how this turns out. I have never let the batter rest so we will see! Delicious. Okay, so I was in a hurry last night. Baked all day Saturday and wanted to get rid of these ripe bananas. so – although I took my butter out the fridge hours before – it was not yet room temp. I fast measured the sugar and flour. I added salt. Just because baked goods are supposed to have salt right? still mixed everything at once! Well, that was my first problem because my butter was not soft enough. So it was much more liquid than I like. I added another approximate 1/4 cup flour. Let it sit half hour. Still too soupy. Then I added about a cup of oatmeal. I did add the nuts. Great for breakfast. I will add chocolate chips next time. All that to say. It still turned out absolutely delicious!! This was absolutely great banana bread. And still very moist. Thanks you for sharing your recipe. Even though I deviated a bit, you gave me the inspiration! If I want to use almond flour how much should I use? This was truly unbelievably moist, it was so amazing. I took it to work to share with my coworkers and I think its safe to say I’m everyones favorite now. They couldn’t believe this was the first time I made banana bread. I took suggestions from the comments and added a hint of vanilla and cinnamon. It was perfect 100/10 would recommend. 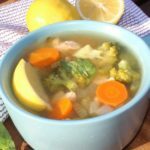 My daughter loves this recipe! No nuts and so easy to make! Thank you for all of the suggestions! Hi can you tell me if flour es all purpose? holy moly ! This recipe will be used over and over. It made the most incredible banana bread myself or my husband has ever tasted ! Thank you so much for sharing !!!!!! Absolutely the best banana nut bread EVER! So moist and flavorful. kind of a crunchy crust and soft and delicious inside. This will be my go to recipe from now on. I followed the recipe exactly and it was so easy and quick. But you could add any other flavors you want….. vanilla, cinnamon, etc. Thanks. Most AMAZING Banana Nut Bread I’ve ever made…my husband LOVES it so tonight I’m making it again!!!!! Thank you so much for sharing your recipe!!!! Making this now. Patiently waiting for it to sit 🙂 but I accidentally used melted butter, is my bread doomed? This is by far the best banana bread recipe! Finally achieved that moist texture that I have been wishing for. Just the right sweetness. Thank you for sharing your recipe! Thanks Kaycee! I knew I had to share my mom’s recipe after I made it the first time, with her permission 😉 It was too good not to! Hi Joann, I hope you enjoyed the recipe!! Hi Shane, I’m humbled you chose my recipe to be your first! 🙂 The 1 1/2 cups is a rough measurement. You do not need to mash them before they get mixed with the other ingredients. Just peel and drop into the bowl. I typically use around 4 average sized bananas or 5 small ones. Others have used less or more. Loved this recipe. I’ve made it twice now. I like to experiment with recipes so Today I tried a little different by adding an extra egg, vanilla, Molasses, and a dash of cinnamon. We’ll see how it comes out! Thanks for sharing! I prefer unsalted, but if you only have salted butter that’s okay too. I was wondering if anyone tried this recipe with muffins? If so how long to bake and at what temperature? I want to thank you for sharing this recipe…it was AMAZING! It is so moist and tasty. My wife had a small slice to eat while she drove to work, she took a bite after she got in her car and then came back in the house to grab a big chunk to eat while she was at work. All she said was make sure you don’t lose this recipe! My son doesn’t normally eat breakfast and he had 3 slices before he left for school. Thanks again for sharing!!! I will definitely be making this one again. Hello, this is my first time making this and I am wondering do I use a hand mixer or just stir the bananas and other ingredients? Hey there I am wanting to make this but I ly have one cup of white sugar… Have you ever substituted brown sugar? I’ve never tried it with a cup of brown sugar and cup of white sugar. I know others have cut the sugar down to just the one cup and still turned out moist. The best banana bread recipe! My entire family absolutely loves…. Very moist. Thank you for sharing! 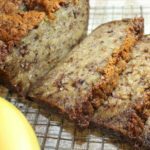 I’ve tried many banana bread recipes, trying to find the best, and this one is always everyone’s favorite (especially my husband!). I replace half the sugar with brown sugar. I melt the butter but let it cool. Then I whip the sugar, butter and eggs on high until the mix is fluffy. I don’t know if it makes a difference or not, but I feel like it makes the bread lighter and fluffier. Then I add in the other ingredients with a little cinnamon and nutmeg. My own little twists, but this recipe really results in the best bread!!! Also, I usually have to bake it for quite a bit longer than the recipe calls for. But I’ve never burnt it. Question — when you let is rest for an hour, should the refrigerated? Thank you! I made this a couple of weeks ago and it was amazing! I didn’t bookmark the recipe and have spent 30 mins searching for this specific one! It’s that good and so easy! Thanks for sharing! I can’t tell you how much my family and I love this banana bread. It’s so moist, tasty and everyone raves about it at work and at home. It’s my go-to recipe whenever I make banana bread anytime of the year. Thanks so much for sharing the recipe. It’s a keeper in my house! Love it , best banana bread ever!! 🙂 thank you! Real yummy banana bread. Added 1 tsp cinnamon, and less than 1/8tsp of salt. Substituted 3/4 white sugar with brown sugar. Next time I’ll add 1 tsp vanilla. I love banana nut bread but up until now I hadnt found a recipe that really satisfied my taste. Many recipes that were tried were good but up until now nothing compares to your recipe. I found your link through my sister who shared some banan nut bread that she had made. Thank you, Heather, for this recipe. I have tried all my life to make good banana bread; and it’s always been dry. This one is truly incredible. It freezes beautifully, too. I have made this several times and love it! I have to admit, I only use one cup of sugar and 1/2 cup of butter (so half the sugar and half the butter of the recipe) and its still super moist and sweet! 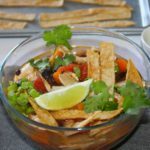 Thanks for sharing this recipe, its pinned to my Good Eats board (family favorites) on pinterest. Is it really 5 eggs? Seems like a lot when most recipes call for 2. Just want to make sure before I make it. Thank you. My recipe isn’t like other banana bread recipes 😉 It is 5 eggs. Hope you enjoy it! This was the best banana bread I’ve ever made. And I’ve made a lot using a lot of different recipes. I make it in a bundt pan and all our friends love it. They request it every time we get together. Thanks for sharing! Fantastic banana bread! So moist. Thank you for the wait 1 hour tip. Do you mash the bananas first, or what, sorry never made it before but would love to try yours. No need to mash the bananas beforehand. You simply add them to the bowl and mix with the other ingredients. Thank you for sharing your recipe 🤗 my family loves it when I make this bread , it’s the best bread I’ve ever had . Sometimes I add in a cup of chocolate chip , blueberries or strawberries ! This is definitely my go to recipe for banana bread ! Came across this recipe today looking for banana bread. It is amazing.. Thanks to your mom! 😁 i made muffins with the extra batter, baked them till banana smell went through house (and tester came out clean of course lol). They are soo moist and the amount of banana in recipe is just right! I’m thinking of making this banana bread for my mom. Do you use salted or unsalted butter? Or would you recommend margarine? Also, what size loaf pan would recommend? Hello – I prefer to use unsalted butter, I’ve never tried it with margarine. Any size and type of loaf pan will work. I always use glass or metal pan. Hope you enjoy the recipe! Love this recipe, thinking about adding some cinnamon next time to jazz it up a little but regardless it’s still amazing.